Born in Michigan in 1969, Vincent Lewis writes and lectures about the injustice within the criminal justice system. A product of Chicago's Southside, he grew up seeing the devastating effects that drugs and crime had on his community. He has worked as an alcohol and drug counselor in Chicago's Cook County Jail, Mississippi State Penitentiary, the Arkansas State Prison system and for several nonprofit social services agencies targeting ex-offenders and substance abusers. He has now dedicated his life to living his Christian faith through action. He believes in teaching others the truth about issues of injustice and empowering them with the tools to become agents of hope and change. He also, works with churches to inspire, inform and empower God's people to become actively engaged in the economic development of their communities, while moving beyond the church walls to meet the needs of the people. 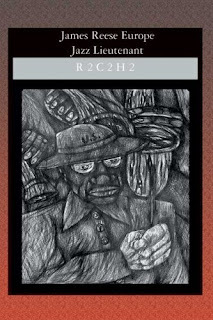 This book is intended to shine a bright light on the suffering of young black males involved in the criminal justice system. Because this problem has many different roots, it is impossible to simply write about crime and incarceration rates, so I discuss various issues contributing to the weakening of the black community as a whole, which results in higher incarceration rates among black males. 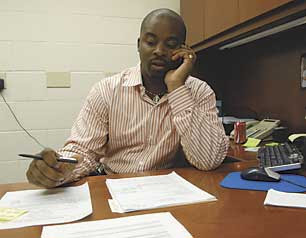 Dr. Leon D. Caldwell is the President and Executive Director of the Think Tank for African American Progress http://www.thinktankforprogress.org, the Director of the Center for the Advancement of Youth Development, lead evaluator of the JustCare Family Network, and Research Associate Professor of Psychology at Rhodes College. He can be reached at caldwelll@rhodes.edu. Nothing says as much about the nature of the American media as its latest frenzy. What seizes it is often the seemingly trivial, the symbolic and, yes, the silly; that most designed to not only tug at the heartstrings, but to cement our certainties, play to our prejudices and support the status quo. For months, right wing shout-show hosts have been harping on ACORN (Association of Community Organizations for Reform Now). In their world, they were the 2009 version of the 1950's Communist Party, and as such, they were painted as enemies of the state. It took a while, but before long the corporate media jumped into the pit, and, assisted by the amateur film set-ups by a right wing couple posing as a pimp and his mini-skirted accomplice, ACORN became the big news. The group, which has several hundred thousand members, was harmed by the actions of perhaps half a dozen, who, rather breezily, advised the supposed 'couple' in ways to avoid taxes and still ply their trade. Almost overnight state and federal governments cut contracts with the group, which has organized many grassroots communities around housing issues, foreclosures, labor issues and voting rights. Politicians couldn't find a mike fast enough to distance themselves, and denounce the group. Consider the difference between that response and the silence which greeted news of the long record of carnage and mayhem committed at the trigger-happy hands of Blackwater. The private, corporate army has lucrative contracts with the State Dept., and many government agencies. In 2007 Blackwater hires launched a massacre in the heart of Baghdad, turning a crossroads of traffic into a bucket of blood. The incident fueled anti- U.S. insurgency and splashed egg on the face of US puppet and Iraqi Prime Minister, Nur al-Malid, who demanded that the company be expelled from Iraq. They're still there. Employees of Blackwater kill and wound dozens of Iraqi with immunity (and impunity), no contracts lost. Employees of ACORN get caught on tape trying to assist a fake pimp and prostitute. 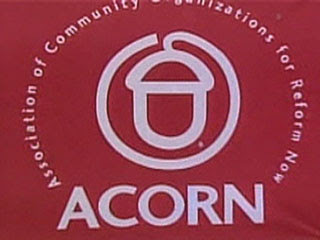 They get fired, ACORN loses a slew of government contracts. Guess which group is tied to wealth and right wing groups around the world? Guess which group supports efforts of the urban poor to navigate their lives amidst economic chaos? Guess which group gets its contracts cut? 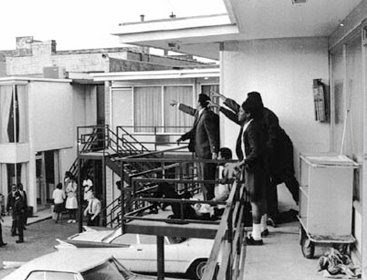 JACKSON – The adult agitators knew where the black guy’s motel room was located. Their goal: To make his night miserable. Frank Dowsing, one of Tupelo High School’s sprinters and the object of the group’s racial ridicule, remained patient that cool spring evening in 1968. 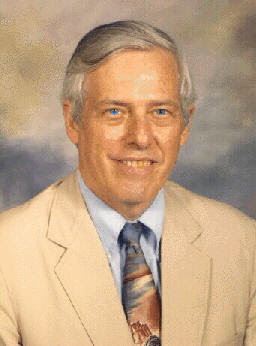 For his effort in breaking down racial barriers at Tupelo High School and in the SEC with his athletic prowess, academic achievement and exemplary citizenship in the face of adversity, Dowsing, who died after a lengthy illness in 1994, was one of six persons named Wednesday for induction into the Mississippi Sports Hall of Fame. The induction ceremonies for the Class of 2010 will be held July 30 in Jackson. - Henry Armstrong, Columbus, pro boxer (posthumous). - Allen Brown, Natchez, former Ole Miss and Green Bay football standout. - Bob Coleman, Jackson , co-founder of the Mississippi Track Club (posthumous). - Ken Toler, Sr., Greenville, state, regional and national tennis champion. - Lake Speed, Jackson, the state’s most prominent NASCAR driver. Dowsing’s mother, Jessie, lives just outside of Tupelo, and his sister, Virginia Dowsing Toliver, lives in St. Louis. His father, the late Frank Sr., was a teacher in the Tupelo school system. Frank Dowsing was one of the first black students to attend THS under the “Freedom of Choice” desegregation plan. He was named all-conference and all-state in football, helped lead the Golden Wave basketball team to a Grand Slam championship and set a state record of 9.5 seconds in the 100-yard dash at the Big Eight track and field meet. He accomplished all that and more carrying the burden of being the first African American to participate in previous all-white domains. Dowsing played football and ran track for Mississippi State, but his former football teammate, Emile Petro, said there wasn’t much Frank couldn’t do. Dowsing was an All-SEC and All-American selection on the field and in the classroom. His career punt return average of 15.2 yards remains MSU’s best. 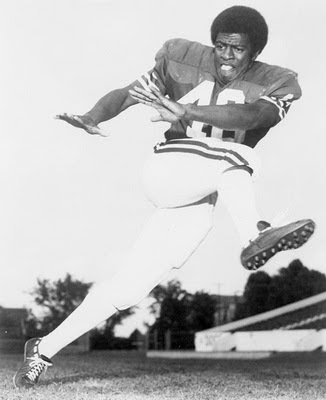 His 88-yard punt return for a TD against Alabama in 1971 is the second longest in program history. He was named to the league’s all-academic team three consecutive seasons. His senior year, he was named a National Football Foundation and a College Hall of Fame Scholar Athlete. She Loves It When They Call Her Big Momma...Boss Toliver Is In The House!!! Our children are suffering because of our disorganization. Black economic power and potential are waning. Chronic diseases, risky health behaviors, and systems required health issues are shortening our lives. We are generally unprepared to participate in technological advances and opportunities. The disparities in education between our children and that of the world are becoming increasingly apparent. This community like so many others around the country has gotten skillful at demonizing children, scapegoating schools, and excusing content-less policymakers. The reality is, as Minister (Louis) Farrakhan suggested in his address during the World Day of Atonement, that we have offered up our children in the pursuit of prosperity prophecy. Our failure to think through a plan to insure them a future better than our present should be considered the greatest act of national sui-genocide. Several will argue that the city’s history of racism, economic exploitation, and cultural oppression are responsible for the condition of black communities in Memphis. While we cannot fully dismiss these explanations, we must move beyond them and develop strategies to address these challenges. I dare suggest that there is benefit to a privileged few, regardless of the ethnic hue, in “suffering as usual” practices of this county. While many will shout amen or nod in agreement, not many are willing to engage in the collective work. This work is a process that requires coalition-building, thinking together, collective planning, and mobilizing for the future of our children and this city. Our paralysis based in sectarian self interests, greed, turfism, individualism, and insecurity must end. Blood, wasted lives, and untapped potential of thousands of young people has happened on our shift. Without investing in a “serious” comprehensive strategic plan developed by the community we will continue to sacrifice our most precious resource for the future – our children. Here is my solution by way of an invitation: join the Think Tank for African American Progress. 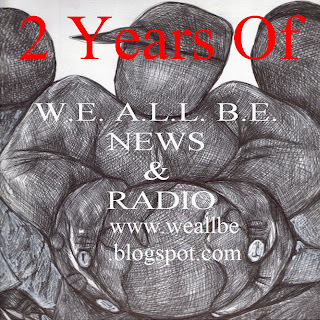 This is not a new organization but a collection of the organizations that are already doing great individual work but want to change the paradigm for working together. The Think Tank is a national convening of community activists, practitioners, policy makers, researchers, and scholars dedicated to developing solutions and strategic plans to implement them to address specific issues on education/youth development, health, economic and community development, and technology. “What is the future for Black Boys?” was this year’s theme. 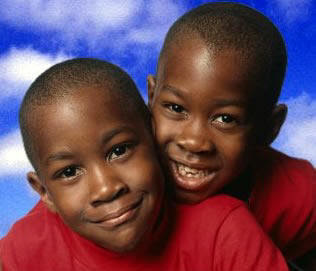 The Think Tank works to develop solutions and strategies for the issues facing black communities. Over the next months, we will be holding community meetings intended to help us end the organizational silos. We invite you to participate in the solutions. 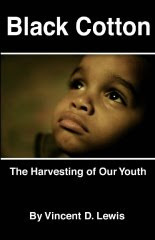 In January 2010, we will release the 2009 Think Tank for African American Progress Solutions Briefs outlining specific programmatic and policy solutions for many of the issues challenging young black boys in Memphis. Simultaneously, we are planning and fundraising for the “What is the Future for Black Girls?” – which will be held in October 2010. Our goal is to provide the policymakers and activists with an inclusive strategic plan generated by the black community. A community serious about its children must plan for their future. The Think Tank is the process for the community planning and mobilizing beyond organizational silos. Our intention is to move beyond the rhetoric and restatements of problems toward community level strategic planning and action. We invite those organizations that want to participate in a new collective and inclusive strategy to improving the life outcomes of children in this community to join us. Memphis and Shelby County will reap what it sows. Will we work the ground until it is fertile or continue to harvest from its soils polluted with inaction. Husband's Death Turns Evers-Williams Into Champion Of Social Justice. 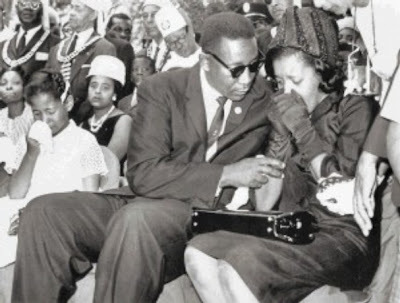 Medgar Evers' daughter Reena Denise (left), brother Charles Evers and wife Myrlie Evers mourn the slain civil rights hero in 1963. Myrlie Evers-Williams will receive the National Freedom Award from the National Civil Rights Museum on Tuesday. Myrlie Beasley, a freshman from Vicksburg, was leaning against a light post at the old Alcorn A&M College in Mississippi when a football player walked up and told her, "I suggest you not lean on that pole. You may get shocked." Beasley was majoring in education with a focus on music. She played piano, and her grandmother and an aunt who raised her had dreams of her debut at Carnegie Hall. They warned her about older boys, especially worldly war veterans. Beasley was wary, but also vulnerable. Her admirer, Medgar Evers, was persistent. "He would stand outside when I took piano practice. He professed to love classical music. He didn't," she says. He was president of the junior class, yearbook editor, a football player and an Army veteran eight years older than her. "He was cool," she says. And, soon enough, she was shocked. The prim young girl who had grown up in a family of teachers was about to marry a man who would challenge everything about the social order in Mississippi. It was her introduction in 1951 to a world of civil rights activism that eventually would lead Myrlie Beasley to a National Freedom Award as Myrlie Evers-Williams, former national chairwoman of the NAACP. Evers-Williams will receive the award Tuesday from the National Civil Rights Museum at Temple of Deliverance Church of God in Christ. In the same ceremony, basketball superstar Julius "Dr. J." Erving will receive the museum's annual Legacy Award for his humanitarian, business and philanthropic works. Museum chairman Benjamin L. Hooks, former executive director of the NAACP, says Evers-Williams, a board member, was persuaded to run for chairwoman although there was no financial compensation. "She did it all and did it well. She's an amazing person," he says. Her successor, Julian Bond, describes her as "a gracious lady with nerves of steel. She literally saved the NAACP when it was at one of its lowest ebbs." Evers-Williams, 76, was "absolutely not" an activist when she met her first husband. Her family did not believe in "rocking the boat. We were told ... we had to do better than anyone else because it was difficult for us as a race to move into good-paying jobs." Medgar Evers was organizing people to vote and demonstrate for equal rights. He told young Myrlie Beasley: "You're going to be the mother of my children." As Myrlie Evers, she would leave school before graduating to move to Mound Bayou, Miss. There, Medgar Evers worked as an insurance agent and Myrlie Evers was an IBM punch-card operator for the same insurance agency. He sold policies to plantation sharecroppers, "and he secretly talked to them about the need to register and vote," she says. "I began ... to have an open mind," she says. "But that open mind was all but filled up with fear. You were not born and reared in Mississippi and challenging the system without knowing you were putting your life on the line." When her husband was offered the job of NAACP field secretary for the state, it meant moving to Jackson. "I was glad he took it because I wanted to get out of that hot, dusty Delta. I was a city girl. I went along as his secretary. I was his wife. I was the greeter at the airport. I was the good wife," she says. They were married for 111/2 years and had three children. He often told her she was stronger than she thought. It took all of her strength when their home was firebombed in 1962 after Medgar organized a boycott of white merchants. A year later, President John F. Kennedy angered segregationists by proposing new civil rights laws. Myrlie and the children stayed up to listen to Kennedy's speech while Medgar worked late. They were awake at 12:30 a.m.
"The children were on the floor. I was stretched across the bed. The car pulled into the driveway. 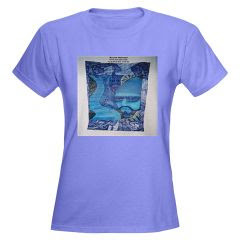 A shot exploded," she recalls. The children grabbed their baby brother and did as their father had told them. They ran to the bathroom and got into the tub. "I made a dash to the front door, unlocked the door and turned on the light," says Evers-Williams. The bullet from a deer rifle had struck Medgar in the back, knocking him forward more than a car length. He crawled a few inches toward the door. "I screamed and the kids came running," she says. "I remember hearing them say, 'Daddy, get up. Daddy, get up.'" The killer left a gun with fingerprints on the rifle scope. 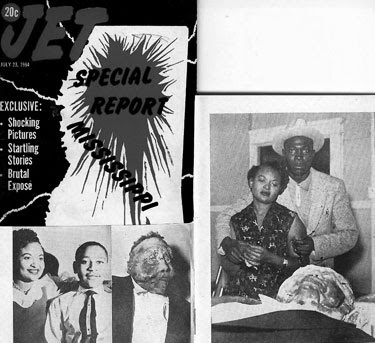 Charged with murder, segregationist fertilizer salesman Byron De La Beckwith was freed twice when all-white juries deadlocked. Evers-Williams had never wanted to be anything "but a wife and mother," she says. 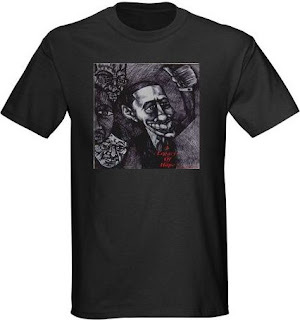 But at a rally the night after the murder, people began to chant, "No more fear." For them and for her, she says, "it was a turning point." Evers was buried at Arlington National Cemetery. "I began to tour the country on behalf of the NAACP and raise money for the organization," she says. Evers-Williams enrolled at Pomona College in California, studying sociology while working weekends for the NAACP. She co-wrote a book, "For Us, the Living," and in 1975 married longshoreman Walter Williams, a civil rights activist who filed a lawsuit to end discriminatory hiring among West Coast shippers. Evers-Williams would be appointed to the five-member Board of Public Works in Los Angeles. She worked as a contributing editor for Ladies Home Journal, director of planning and development for Clarement College, vice president of a spa and cosmetics company and director of consumer affairs for Atlantic Richfield Co. In 1995, she ran for chairwoman of the NAACP, which was in debt more than $4 million and had developed a reputation as, what she calls, "financially and morally corrupt." She won and approached the NAACP like a business, raising $3 million by holding a chairman inauguration ceremony. 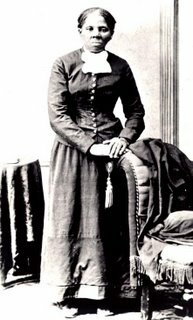 She held a TV-radio campaign to solicit funds and relied heavily on local NAACP chapters to raise money. "Those three years almost killed me," she says. "I never worked so hard in my life." 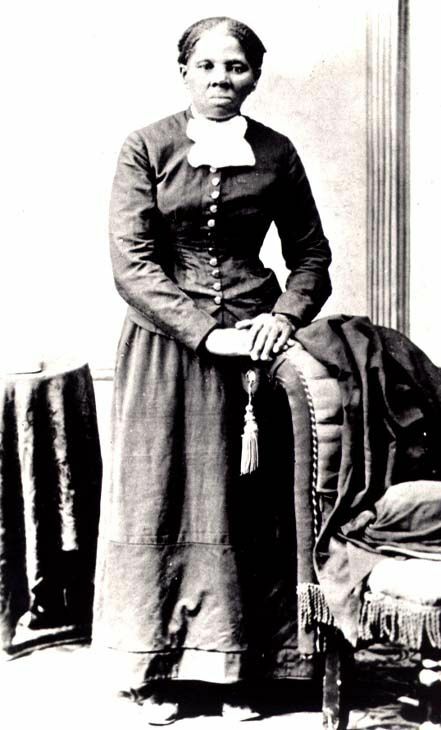 Williams died just after she had taken office, but it was during her tenure that she celebrated one of her biggest victories. Evers-Williams had promised Medgar Evers that if he were ever murdered she would "see to it that justice prevailed. I never gave up." She finally convinced the state to retry De La Beckwith based on evidence he had tampered with the juries that deadlocked on his previous trials. "I was told that Beckwith was an old man by then and that he should be let alone and that God would take care of it," she says. She persisted. He was convicted in 1994 at age 73 and died in prison in 2001. "This is the one thing that I claim for myself -- my own victory," she says. "It ended up being not just a victory for myself, but for a lot of people. When that verdict was read, for the first time in my life I felt free." When: Public forum at 10 a.m. Tuesday; Award ceremony and banquet follows at 6:30 p.m. Admission: Public forum is free. Ticket sales for the banquet closed Friday, but tickets costing $35 per person may be bought at the ticket office of the museum through 5 p.m. today for a postawards performance by Eddie Levert, lead singer of the O'Jays. The black community has become toxic and must cleanse and restore peace from within, said Nation of Islam Minister Louis Farrakhan. The 76-year-old leader gave his keynote address Sunday at the Cook Convention Center to observe the Nation of Islam’s Holy Day of Atonement, which commemorates the 14th anniversary of the Million Man March in Washington. This toxicity is filled with self-hatred that results in destructive behavior toward one another, he said, and will ultimately lead to the black community’s destruction. The solution, he said, is to model the government after the human body, which he said is created in God’s image. Farrakhan spoke about his 1985 vision, the journey that motivated him to restore the image and confidence of black men in America through the Million Man March on Oct. 16, 1995. He warned listeners to not become satisfied with President Barack Obama’s election as the nation’s first black president. “This can pacify you and lull you to sleep in a dangerous time, making you think that we live in a post-racial America when the opposite is true,” Farrakhan said. 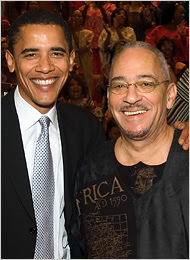 Instead, Farrakhan urged his followers to pray for Obama and not expect him to solve the problems of the black community. During his near three-hour speech, Farrakhan discussed his views on an array of subjects including American foreign policy, war, conception and diseases. He said the U.S. government invited the Taliban to Washington in July 2001 to ask the extremist Islamic group’s permission to build a pipeline through the Middle East to get oil to the Persian Gulf. “You either accept a carpet of gold or a carpet of bombs,” he said American leaders told Taliban leaders, but the Taliban would not approve. President George W. Bush’s administration then used the Sept. 11, 2001, terrorist attacks as a reason to invade Afghanistan, Farrakhan said. “It has nothing to do with anything but oil,” he said, and the American government used Osama bin Laden as a “patsy” to make Americans hate Islam. Before Farrakhan’s message, several Nation of Islam leaders and Memphis officials spoke highly of him. “His message is one that we all need to hear, heed and follow because it’s a message of self-reliance,” said Mayor Pro Tem Myron Lowery. “We are honored to have him in the great city of Memphis,” Herenton said. State Rep. Joe Towns Jr. noticed it at the Leadership Forum. 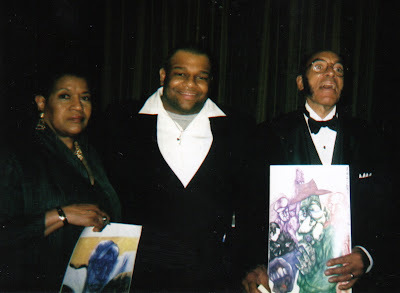 Minister (Louis) Farrakhan, he said, you are looking well. Two days later, Farrakhan, leader of the Nation of Islam, delivered a keynote address to several thousand attending the World Day of Atonement observing the 14th anniversary of the historic Million Man March. Moments afterwards, his personal assistant, Minister Ishmael Muhummad, gave the crowd a chance to reflect on the energy and vigor of Farrakhan who he reminded them is 76 years old. The crowd – heavy with Nation of Islam followers and others drawn by the appeal of Farrakhan – clapped and voiced its agreement that Farrakhan delivered plenty of fire. This from a man who a couple of years ago was in a prostate cancer struggle severe enough to stir rumblings about who would replace him. 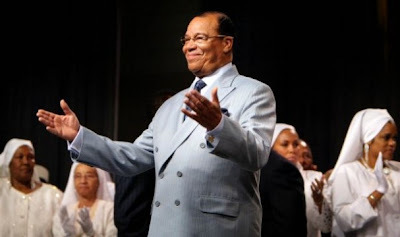 He asserts that he is anointed by God, taught by the Honorable Elijah Muhammad and guided by an intelligence that is in this world, not of this world and generally not recognized as present. With that background and that guiding intelligence he says he crafted the Million Man March of 1995 and today has information that world leaders and everyday people need to know. For example, he says while Barack Obama inherited wars, the president owns them now. And if Obama decides to stay and ratchet up the war in Afghanistan, Farrakhan said it will not come out well for America and its children will be slaughtered. Farrakhan is a self-described teacher. And while in Memphis, his subject lessons included: the history of the Taliban and how the war got started; how men and women should view and treat themselves and each other; what can be done to help children; and how the definition of terrorism should include those in Washington who vote their self interest even when their position is not in the best interest of America. President Obama, he said, is “a good human being” who has raised America’s level in the world and who realizes that American foreign policy has injured third world peoples. The theme for the three-day gathering in Memphis was “Accepting Responsibility to Rebuild Our Community.” Farrakhan said he came to Memphis with the intention of starting a dialogue to develop a comprehensive plan, an agenda and strategy for the community. He said the Nation of Islam is linking with others in Chicago in such a process and he envisions Memphis and other centers following suit, with the best of such efforts shared en route to an overall plan that works. Former mayor Dr. Willie W. Herenton was a prominent figure at the leadership conference and at the Sunday event. 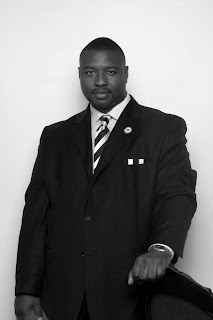 Farrakhan said Herenton had earned the support he should receive in his bid to become the Ninth District representative and noted that as mayor, Herenton had the courage to present him with the key to the city. On Sunday, Herenton said it was easy to extend the key to Farrakhan, whom he described as worthy, a man who speaks the truth and who is anointed and committed to improving the human condition. Dr. Vasco Smith: The Quiet Warrior...R.I.P. Former county commissioner Vasco Smith and his wife Maxine in 1994. Vasco Smith could have been described any number of ways: dentist, Air Force veteran, jazz lover, politician. Those who knew him best kept coming back to the same words: freedom fighter. "Vasco was a great soldier in the fight for freedom," said former NAACP leader Dr. Benjamin Hooks of Memphis. "He was a tremendous warrior, even up unto his last days." Dr. Smith, a longtime civil rights advocate and former Shelby County commissioner, died Monday. He was 89. 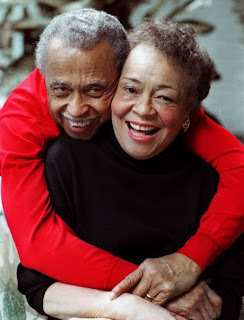 Dr. Smith and his wife, Maxine, executive secretary of the Memphis branch of the NAACP, celebrated their 56th wedding anniversary 10 days ago. 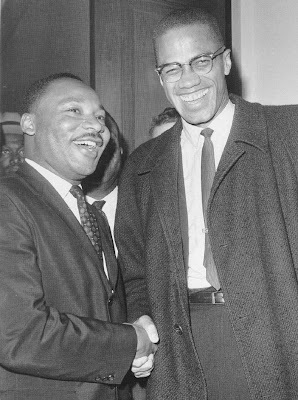 Their partnership had a lasting effect on the march toward civil rights in Memphis. "She and Vasco should have been called the freedom fighters," said Rep. Steve Cohen (D-Tenn.), who served with Dr. Smith on the commission. "They would stand up for principle and stand up on issues. They were strong moral voices in the community." Dr. Smith graduated from Booker T. Washington High School in 1937, then from LeMoyne College in 1941. 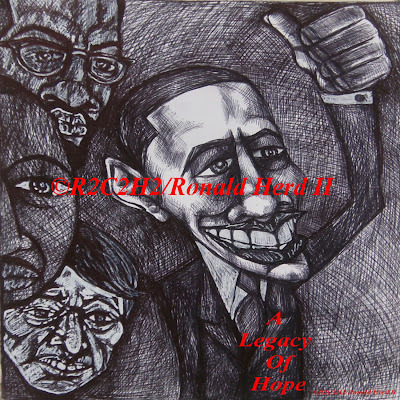 He received his dental degree from Meharry Medical College in Nashville in 1945. He began his public life in 1973 when he won a special election for an at-large seat on the Shelby County Quorum Court, forerunner of the commission. He served on that body until retiring from politics in 1994. During his time there, Dr. Smith and others were instrumental in founding the Regional Medical Center at Memphis. Dr. Smith remembered his mother, who worked at the old John Gaston Hospital, telling him stories about that facility's inadequacies. "I always said if I could at some time do something about it, I would. On the County Commission, I saw an opportunity," he told The Commercial Appeal in 1994. But it was also his efforts at promoting civil rights and rooting out racism that left a lasting mark on the city. 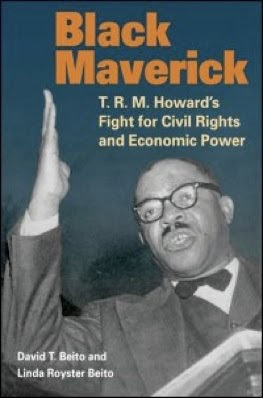 Teaming with the likes of Jesse Turner, A. W. Willis, H. T. Lockard, Russell Sugarmon, Hooks and others, the Smiths pushed for voter registration, filed lawsuits, raised money and helped elect African-Americans to office. They also took part in demonstrations and were each arrested more than once. "I know that I would not be where I am today as a lawyer or in political circles had it not been for Vasco Smith," said Shelby County Mayor A C Wharton, a neighbor of the Smiths, who announced Dr. Smith's death at Monday's commission meeting. "I could best describe him as a valiant soldier in the army for justice (and) equality who suffered many combat injuries and never received a Purple Heart for it," he said. Dr. Smith was also a legendary music aficionado with a particular love for jazz. At the Smith home, a large portion of one wall is devoted to his expansive collection, dominated by jazz but including music that covered most of the nearly nine decades of his life. The albums were catalogued in the kind of minute detail characteristic of someone passionate about music. Wharton would often pass along obituaries from The New York Times when an influential musician would pass away, but Dr. Smith's knowledge of the musician would run deeper than the newspaper's account. "You name it, he would give you a dissertation on it," Wharton said. In an interview with The Commercial Appeal in January, Maxine Smith talked about how she and Dr. Smith's efforts built on even greater sacrifices made by those who came before. "We hit the ground running after Vasco got out of the service," she said. "I never had the good sense to get away and I don't have a single regret. "We all got here on somebody's shoulders and we can go as far back in history as we want and far enough we don't even remember some of those days. One good thing stacks on top of another. I sometimes wonder why God is so good to Vasco and I." In lieu of flowers, the family asks that memorials be sent to LeMoyne-Owen, the Memphis Branch NAACP or Freedom's Chapel Christian Church. Reporters Daniel Connolly and Zack McMillin contributed. New York had Ruby Dee and Ossie Davis. Jackson, Miss., had Medgar and Myrlie Evers. And Memphis, we had Vasco and Maxine Smith. Dr. Vasco Smith, 89, a dentist, a former Shelby County Commissioner and a civil rights warrior, died Monday, leaving his wife, Maxine, the other half of the legendary civil rights fighting couple, to fight on. The Smiths were one of Memphis' premier power couples. And to spend any time around them was to be in the presence of strong, enduring love, love that lasted the 56 years of their marriage. The last time I saw Dr. Vasco Smith -- who insisted I call him simply Vasco -- I was interviewing his wife for a piece about the 40th anniversary of Black Mondays, the school boycotts designed to get black representation on the city school board. Before the interview even began, Vasco was showing his gentlemanly side, offering to run out and get me some barbecue for lunch. In the den of their South Memphis house, the walls were full of bookcases that contained his vast music collection (albums, not CDs), and the walls in the hallway were heavy with plaques honoring one or the other for their tireless work. Maxine held court on the couch, but again and again as we talked, she turned to her life's partner. He sat in a nearby chair as she plumbed his memory for the nugget she'd forgotten. What was the name of so-and-so? What year was it when we did that? His mind was quick with the details she didn't remember -- they were an amazing tag team. When I remember Vasco, I can't think of him alone. I think of him as half of a duo, a part of a beautiful, healthy relationship. He was not threatened by her activism, she was not diminished by his success and status. In a world with too few models of successful marriages, theirs stood out. Spend any time with them and the love and respect they had for each other was clear. Palpable, almost. And now that I think of Vasco, gone to be with his maker, my heart goes out to Maxine. The grief she must feel, losing her husband, her ally, her partner, her friend -- the prayers of thousands across the city who were blessed enough to know them will hopefully be of some comfort now. Thank you both, for reaffirming my belief that true love exists and can persist. Vasco and Maxine. Maxine and Vasco. Whenever I saw one, I saw the other. Inseparable, until death parted them. Contact Wendi C. Thomas at 901-529-5896 or e-mail thomasw@commercialappeal.com. 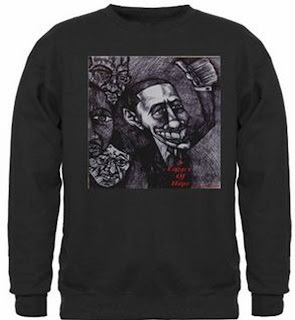 Supreme Irony: Obama For Peace? Blackonomics: Do The Right Thing.